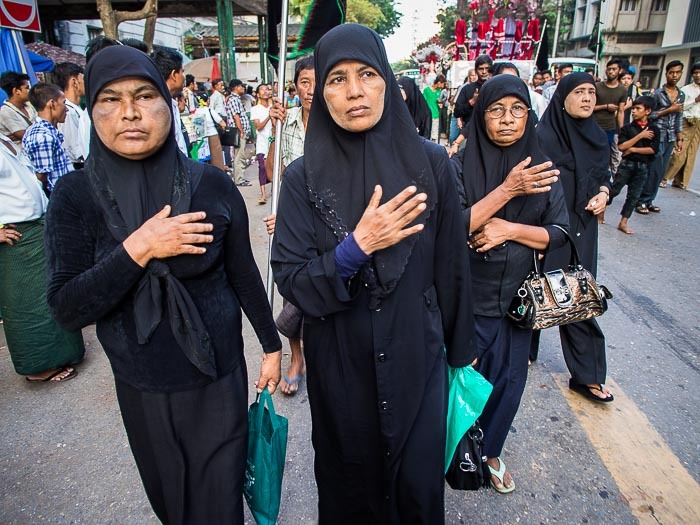 Shia women walk down a Yangon street pounding their chests and praying during Ashura. I am in Yangon with limited internet. 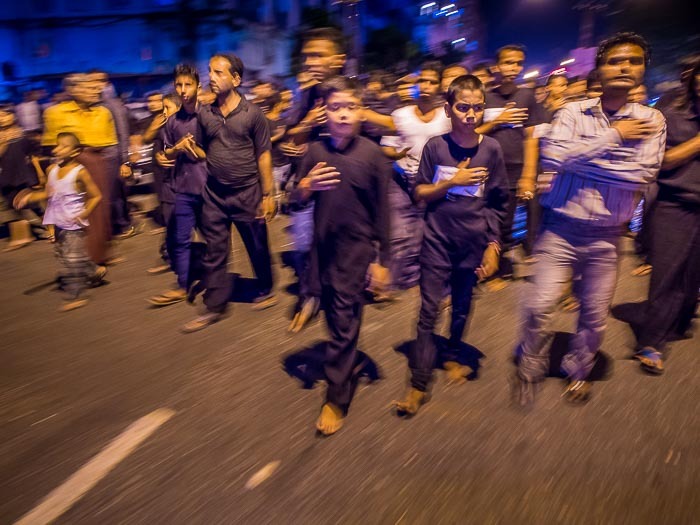 I covered Ashura processions yesterday and last night. This is a just a quick post to get some of the photos up. 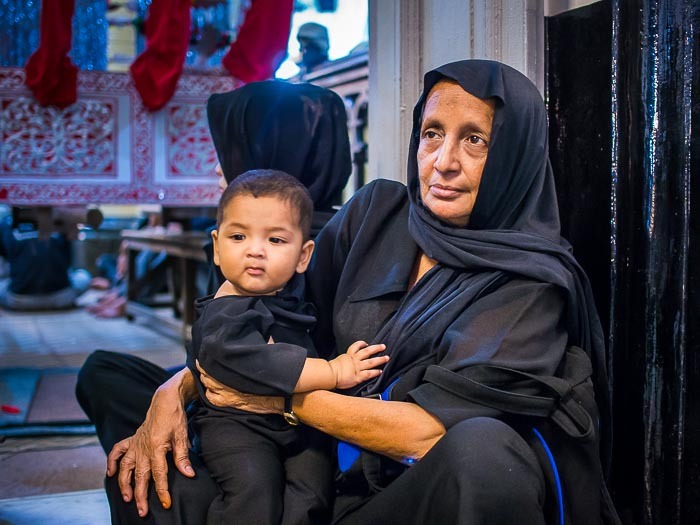 A woman and her child at an Ashura service in Yangon Monday night. After the service Shias walked through the streets pounding their chests and reciting prayers. Ashura marks the death of Hussein ibn Ali, the grandson of the Prophet Muhammed, in the 7th century at the battle of Karbala. Some Shia men whip themselves with chains and knives to mark their solidarity with and support of Hussein ibn Ali. There are more photos from Ashura in my archive or available from ZUMA Press.